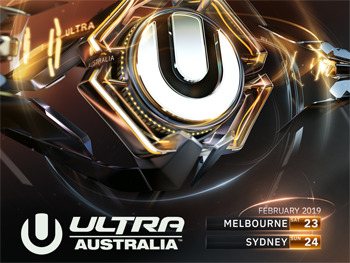 Get Ready Australia: The Full Scale Ultra Experience is Coming, this Summer! Following unprecedented demand and the subsequent success of the first ever Road To ULTRA Australia in February of 2018, ULTRA Worldwide has announced the massive expansion of the globally renowned festival to two cities across the Australian continent. The inaugural edition's colossal splash at Melbourne's Sidney Myer Music Bowl, prompted the expansion of the event to two full-scale festivals for the sophomore instalment in 2019. ULTRA Worldwide will return to Melbourne with world-class talent on 23rd February and will head to Sydney for the first time on the 24th. Details on tickets, line-up and venue will be revealed in the coming weeks.